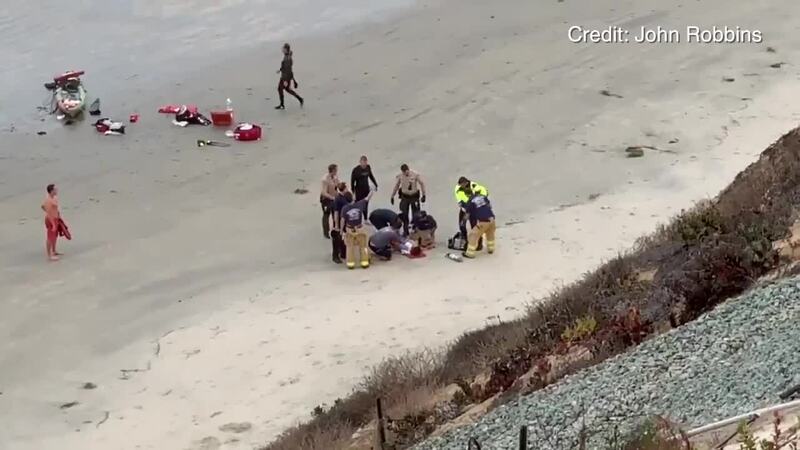 ENCINITAS, Calif. (KGTV) — A 13-year-old boy was attacked by a shark while lobster diving off the coast of Encinitas Saturday morning. The attack was reported just before 7 a.m. in the 900 block of Neptune Ave. at Beacon Beach, San Diego County Sheriff's Department said. San Diego Fire-Rescue lifeguards were also on scene. The 13-year-old suffered traumatic injuries to his upper torso and was airlifted to Rady Children’s Hospital. 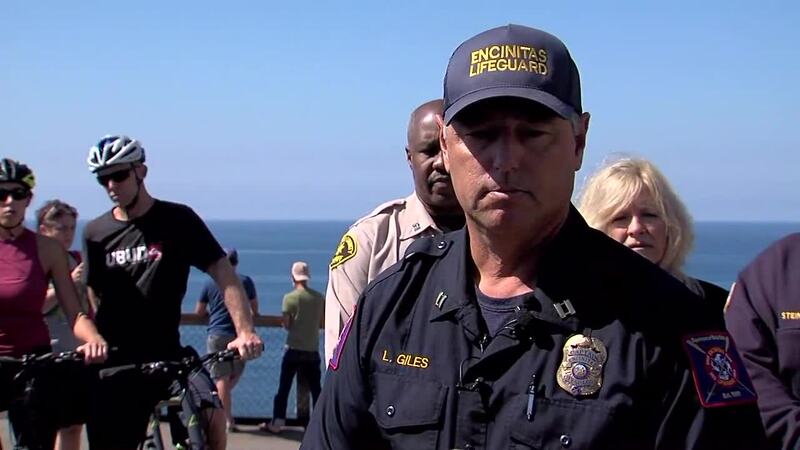 The child was conscious and talking, according to Encinitas Lifeguards Captain Larry Giles. Dr. Tim Fairbanks, chief of pediatric surgery at Rady said the boy was in critical condition Saturday afternoon. "He was stabilized in our trauma bay. He went to surgery. At the request of the family we will not be releasing details as to the nature of his injury or the treatments that were required." Though, he did say the boy was being treated by a large team. "This patient received very rapid and quick response by the trauma team, the emergency room, the pediatric intensive care unit and the operating room and I’m very proud of the job that they’ve done." In the past 10 years, Dr. Fairbanks said they've never had a shark bite victim like this, calling it a "rare injury." The coastline has been closed for 48 hours from La Costa Ave. to Swami's State Beach and signs have been posted to alert beach-goers, according to Capt. Giles. A nearby surf competition scheduled was also canceled. 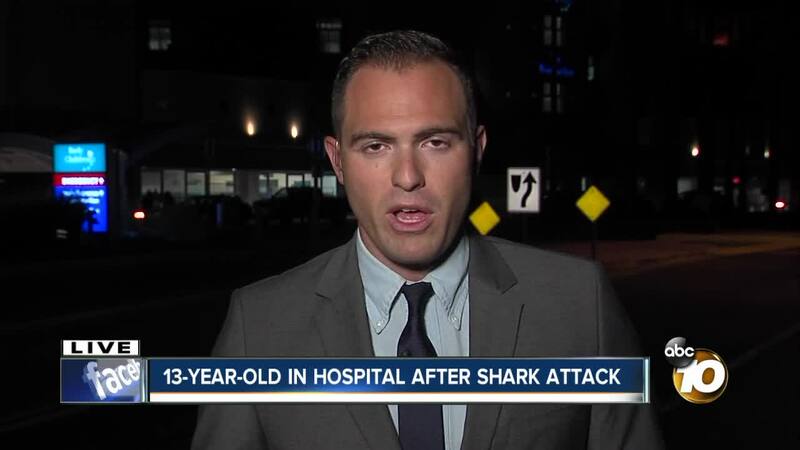 There have been no other reports of shark sightings and officials are unsure of what type of shark attacked the boy, though it was estimated to have been about 11 feet long. Witness video showed divers waving down responders as the child was pulled to shore and treated, before being airlifted from the beach.